The 31-year-old from Serbia is in sparkling form, winning Wimbledon, the Cincinnati Masters and US Open in recent months, after having elbow surgery in February. 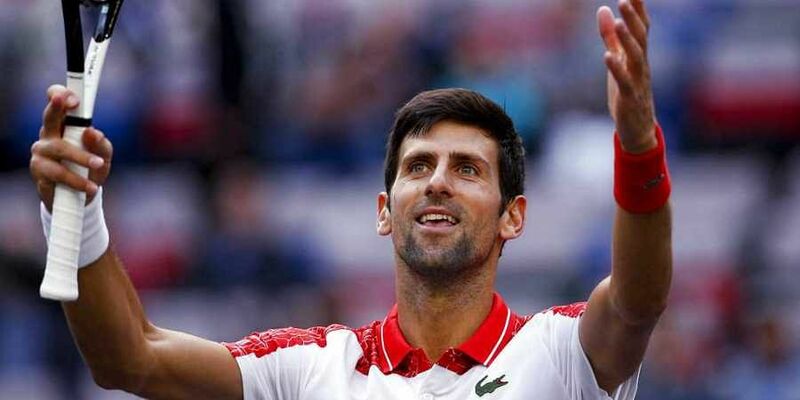 SHANGHAI: Novak Djokovic said that he was relishing facing "top player" Alexander Zverev in Saturday's semi-finals of the Shanghai Masters, just the second meeting between them. The 14-time Grand Slam champion beat Kevin Anderson 7-6 (7/1), 6-3 on Friday to set up the tasty last-four clash. Djokovic saved set point in the opener before taking control of the tie break and the second set to dump out the South African seventh seed in efficient fashion. The second seed is homing in on injured Rafael Nadal's year-end number one ranking. Djokovic and Zverev met on clay at the Rome Masters in May last year, the 21-year-old German winning the title with a 6-4, 6-3 victory. Djokovic said they were "both different players" now. "I wasn't -- I feel like -- playing as well as I'm playing today," he warned. "But also he has improved a lot and he has established himself as a top player. "It's going to be definitely a close match." A rising star touted as a potential future multiple Grand Slam winner, fourth seed Zverev eased past Kyle Edmund to reach his first Shanghai semi-final. The 6-4, 6-4 victory over the 11th-seeded Briton seals Zverev's place in the season-ending ATP Finals in London next month, which bring together the top eight men. Shanghai top seed and defending champion Roger Federer plays Kei Nishikori in the quarter-finals later on Friday. The top four players in the world -- Nadal, Federer, Djokovic and Juan Martin del Potro -- had already qualified for London. Zverev is ranked fifth. "I think every year you feel more mature. Ever year you spend on tour, you feel kind of different," he said. "Last year was the first time I kind of broke through to the top 10 and was a top-five player. "It's always easier to kind of get there -- but then staying there is always the tougher part."